3M recently settled their claim with the United States Military over their defective earplugs, Duel-Ended Combat Earplugs that were sold after prior knowledge the earplugs were ineffective. The appeal of the Dual-Ended Combat Arms Earplugs was their namesake duality function. When worn on one side, it allowed the wearer to hear the sounds around them at a reasonable volume, such as verbal commands on the battlefield. When worn in the opposite direction, the Dual-Ended Combat Arms Earplugs were purported to act as an extra layer of protection from the sounds of gunfire and explosions. The Dual-Ended Combat Arms Earplugs were standard issued equipment for soldiers while engaging in foreign conflicts and wars between 2003 and 2015. Thousands of service members have been affected by tinnitus, bilateral or unilateral hearing loss. Have You or a Loved One Been Affected by Hearing Loss? 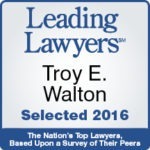 Contact Walton Telken Injury Attorneys now to speak with attorney Stephanie Lyons for a free, no obligation consultation.